Protein in kids’ diets is always a hot topic in parenting forums and Facebook groups. 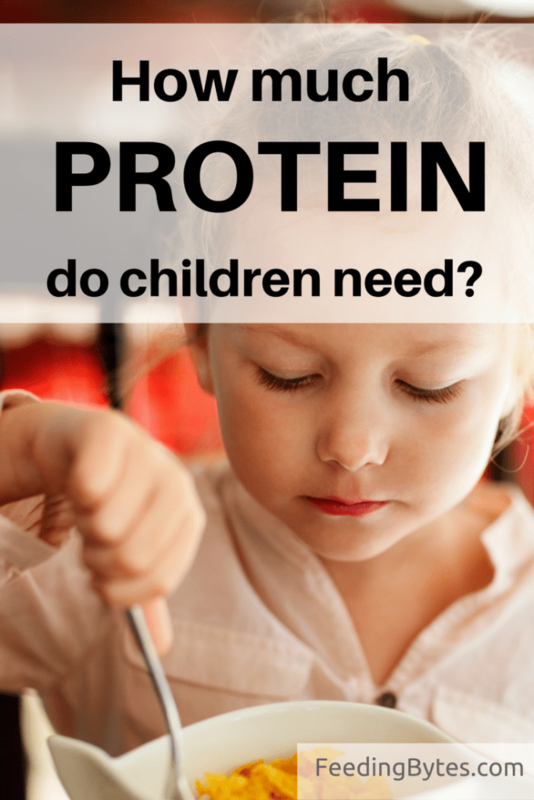 The overwhelming concern about children not getting enough protein may be partly fueled by the food industry and partly by our own misconceptions about how much protein kids need for proper growth and development. In general, I think we are worried about protein too much. And in this post I will show you why. Is protein important for kids? Protein is our bodies’ structural block. Some proteins also function as enzymes, antibodies and hormones. Getting enough protein is extremely important for growing, development and immunity. Read: for kids! 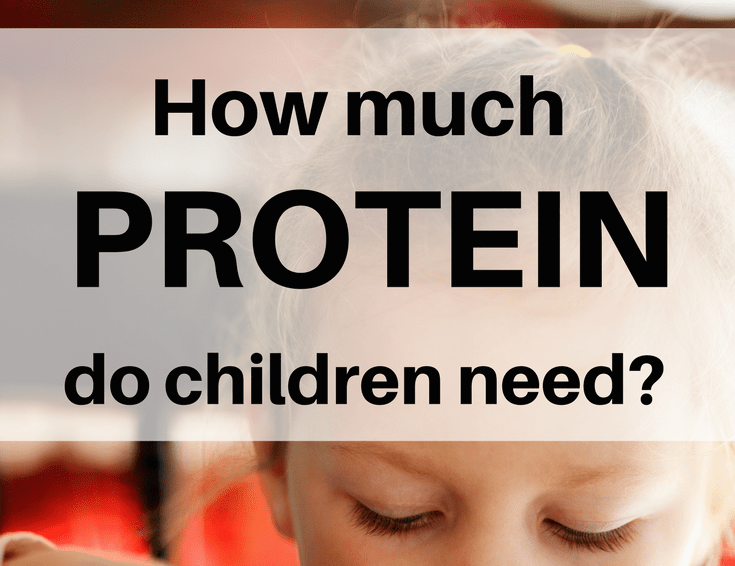 How much protein do kids need daily? But do we need to worry about protein? Give our kids protein shakes? Buy expensive follow up formula for toddlers? Make sure older kids eat protein at every meal? For a vast majority of kids in the western hemisphere, the answer is NO. In fact, researchers here and here warn parents against giving kids too much protein, especially from dairy sources, as it may increase their risk for obesity later in life. Most kids in developed countries get enough protein. Only a very small number may be falling behind. It can be children who eat a strict vegan diet without balancing it properly or finicky toddlers who fill up on protein-low plant kinds of milk and do not eat many solids. 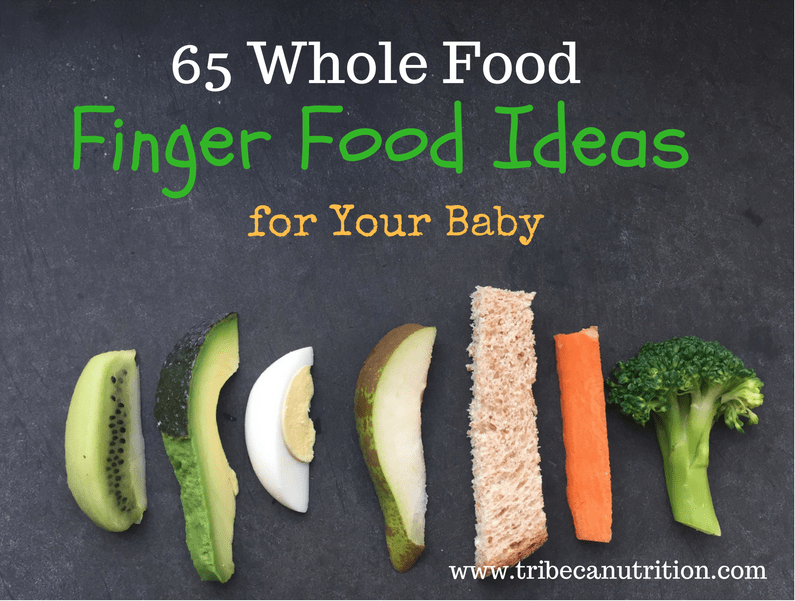 Babies up to 12 months get all the protein they need from breast milk or formula. Two servings of dairy a day meet most protein needs of toddlers and children up to 8 years old. If your child drinks milk or eats cheese or yogurt a couple of times a day, his protein intake should be sufficient. Starchy foods, kids favorites, have some protein. 1/2 cup of cooked spaghetti has 4 grams of protein. A slice of bread has 2 grams of protein. 1/2 cup of rice – 2 grams of protein. A picky toddler, who needs only 13 grams of protein a day may meet his protein needs just fine without eating a bite of chicken or a single bean in weeks, especially if he eats some dairy. Of course, providing our kids with balanced meals is still very important. But it does not mean that we need to keep worrying about protein. Research shows that even picky eaters are likely to get enough macronutrients (carbs, fats and protein). On the other hand, Omega 3 fats, vitamins D and fiber may be of concern for some children especially if they omit whole food groups from their diet. To learn more about the essential nutrients your child needs, their best sources and ways to help even picky eaters get enough, download my free ebook. Serve 3 balanced meals and one/two snacks a day. Learn more about meal and snack structure here. Include 3-4 food groups in each meal. Choose from fruit, vegetables, grains, proteins and dairy. Keep an eye on the dairy: children under 8 only need 2 serving a day, older kids – 3 servings. Wonder what a balanced meal or snack looks like? 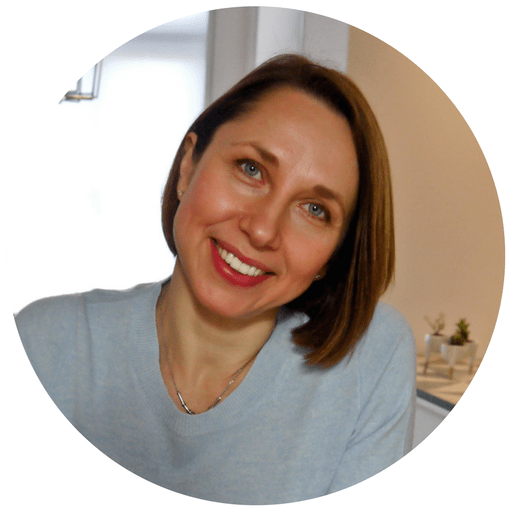 Need a simple plan to help the whole family get more nutrition without spending hours in the kitchen? 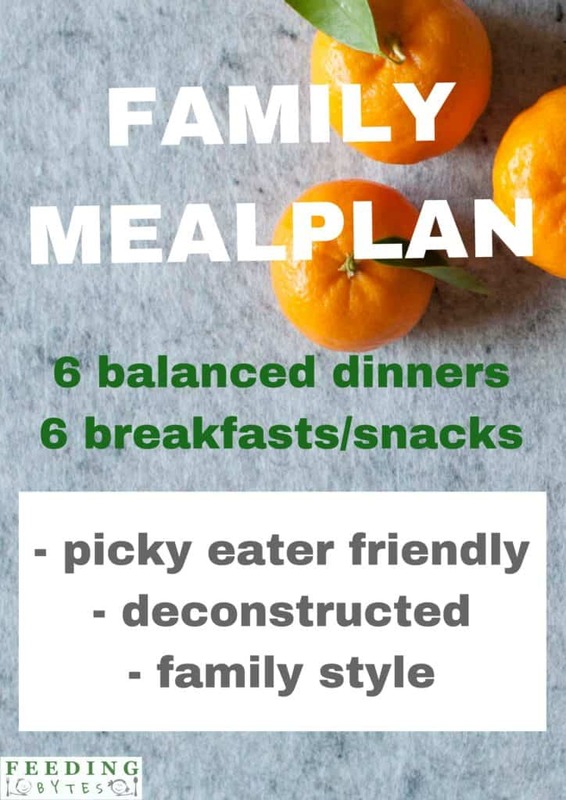 Get my Family Mealplan here. 1oz of chicken (9g protein) meets 2/3 of a toddler’s daily protein needs. 6oz of Greek yogurt (18g protein) provides almost 100% of protein needs of an 8-year-old. 1/2 cup of edamame (9g of protein) provides almost 1/3 of protein needs of a 13-year-old. 2 cups of milk/formula (16 g of protein) and 1 cup of yogurt (11 g of protein) provide more than 200% of protein needs of a 3-year-old. 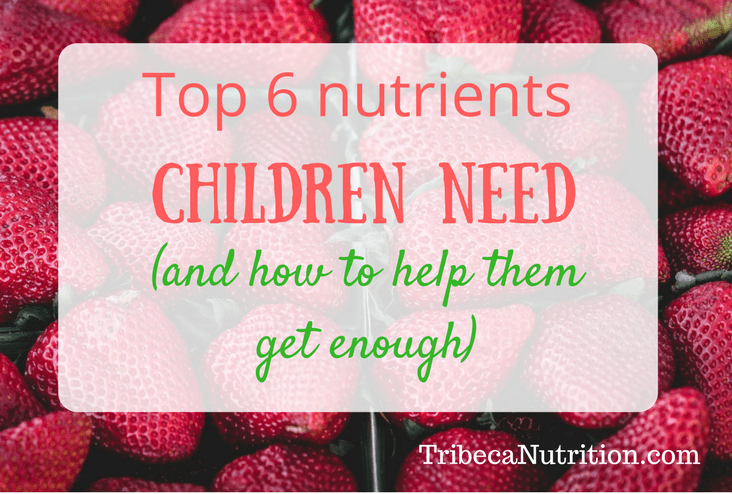 Tell me in the comments below, what is your biggest nutritional concern about your child’s diet? How much Omega 3’s does your child need? COMPLETE GUIDE: How often do kids (0 to 5) need to eat? Sample schedules included. This is a great post, so informative and eye opening. I was worried about protein consumption but not any more. Thank you so much, Stella! What is the daily fibre target? how to reach this target in a 5 year old that refuses to eat fruit and vegetables?